There are many versions and recipes for chocolate chip cookies, some are crispy others are softer, this recipe is the soft version but the taste is extremely addictive. 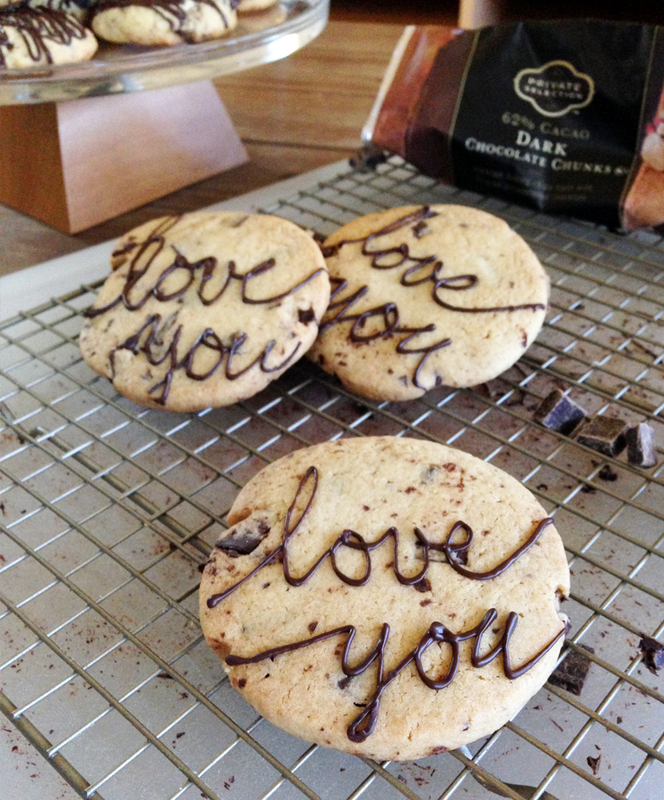 On this occasion I made them for valentines day but you can adapt the decoration to any other occasion. 1 to 2 hours before starting the recipe, take out from the fridge the butter and 1 egg. Mix in a bowl 2 cups flour, 2 teaspoons cornstarch, 1 teaspoon of baking soda and 1/2 teaspoon salt. Cream in a mixer 3/4 cup of butter with 3/4 cup of brown sugar and 1/4 cups of sugar. Remember it´s important that the butter is soft so it will integrate properly with the other ingredients. Add the egg and two teaspoons of vanilla. 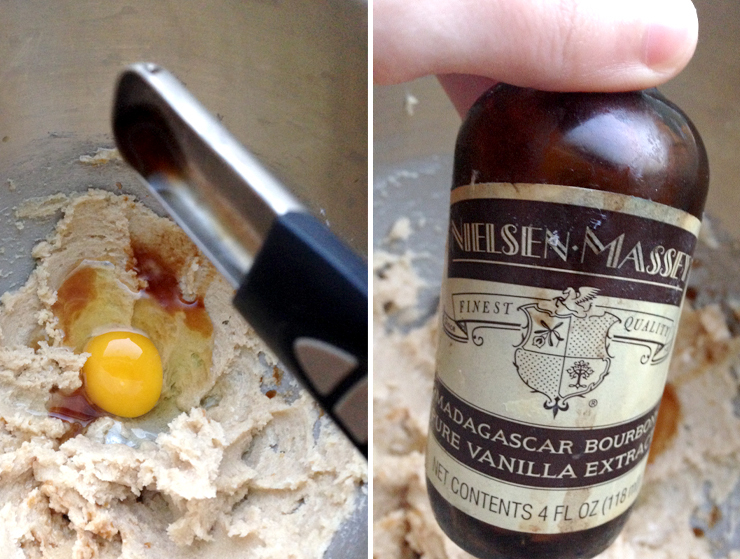 For all my recipes I always use Madagascar Bourbon Pure Vanilla extract from Nielsen Massey it´s the best!!! When all ingredients are well mixed add the dry ingredients. 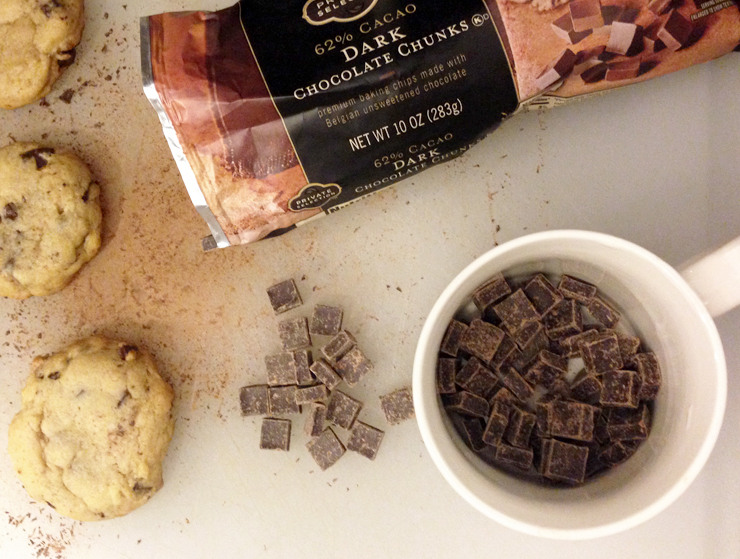 And then integrate the chocolate chips. 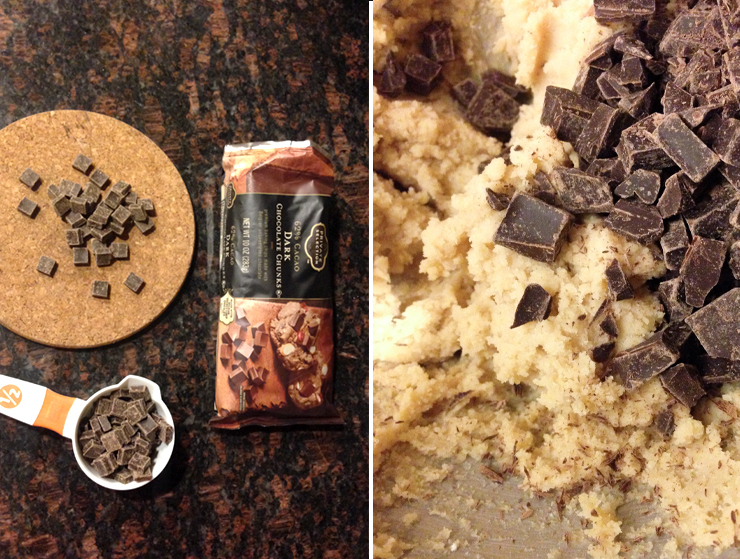 This time I did not have chocolate chips so used chocolate chunks. Make a ball with the dough and flatten with your hands, cover with plastic wrap and refrigerate at least 30 minutes. Preheat the oven to 350 degrees. 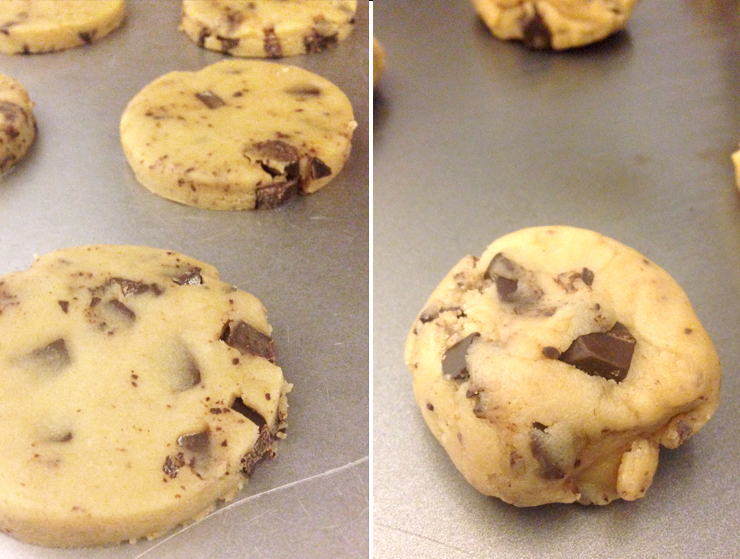 Place the cookies on a baking sheet and bake 8-10 minutes until edges are golden brown, the key is not over bake. Let them cool for 30 minutes to an hour. In a cup or microwavable bowl, using the microwave melt for 30 seconds 1/2 cup of chocolate chips, and mix them with a spoon until it is totally melted. 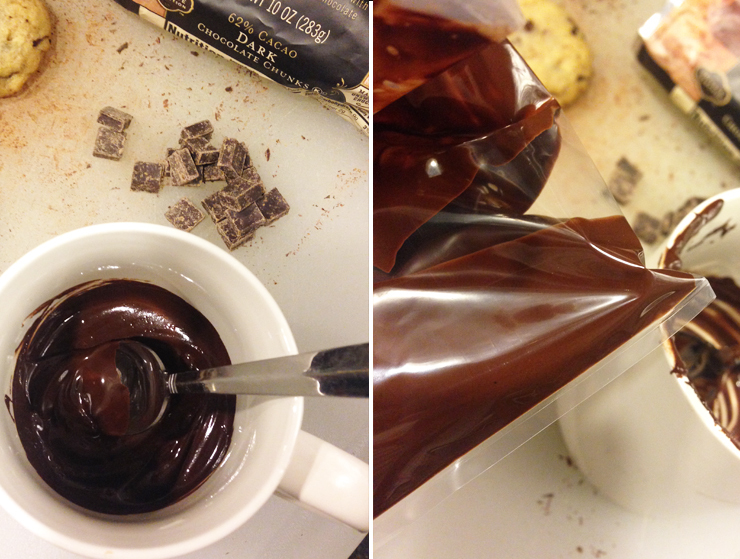 If after mixing the chocolate you still find lumps, heat it another 15-30 seconds in the microwave and stir. Place the melted chocolate in a plastic bag and cut out a small hole with scissors at one corner, if the hole it´s too small cut another piece. 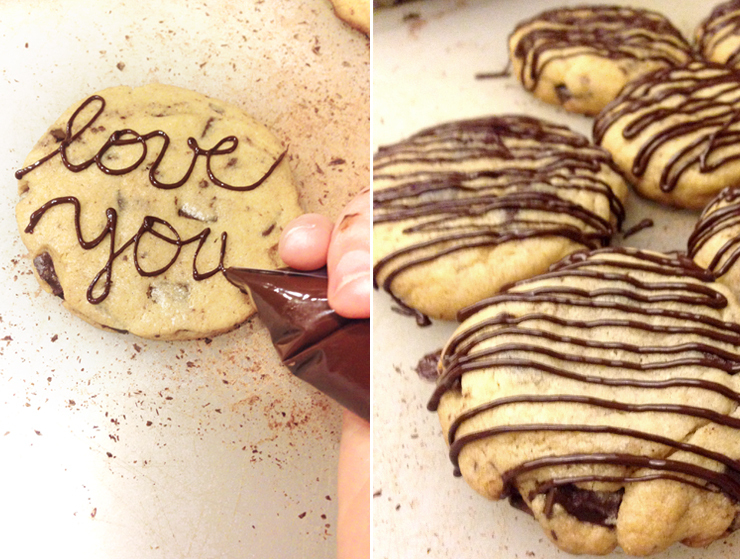 Write and decorate the cookies let the chocolate dry for 1-2 hours. 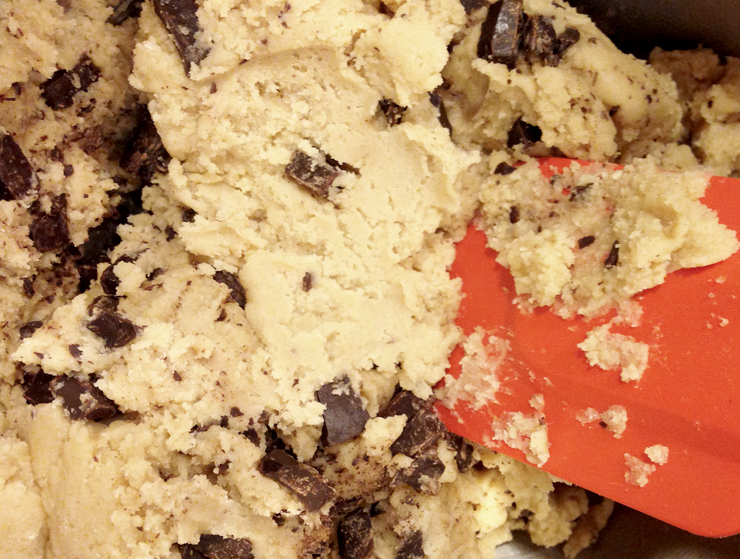 3/4 c. chocolate chips or more. 1 to 2 hours before starting the recipe, take out from the fridge the butter and 1 egg. 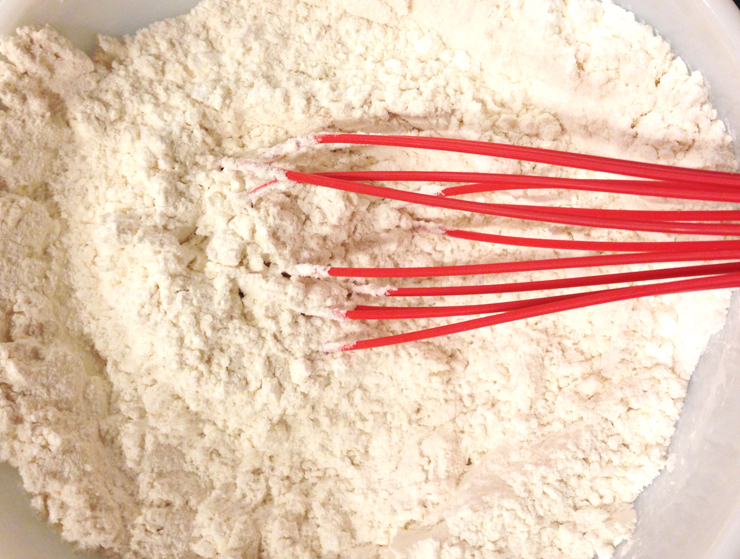 Mix In a bowl 2 cups flour, 2 teaspoons cornstarch, 1 teaspoon of baking soda and 1/2 teaspoon salt. 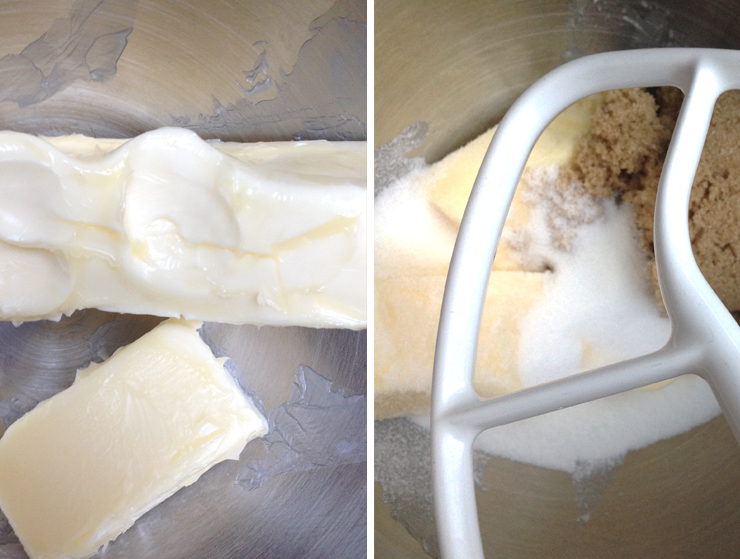 Cream in a mixer 3/4 cup of butter with 3/4 cup of brown sugar and 1/4 cups of sugar. Add egg and two teaspoons of vanilla, beating until integrated. When all ingredients are well mixed add the dry ingredients. 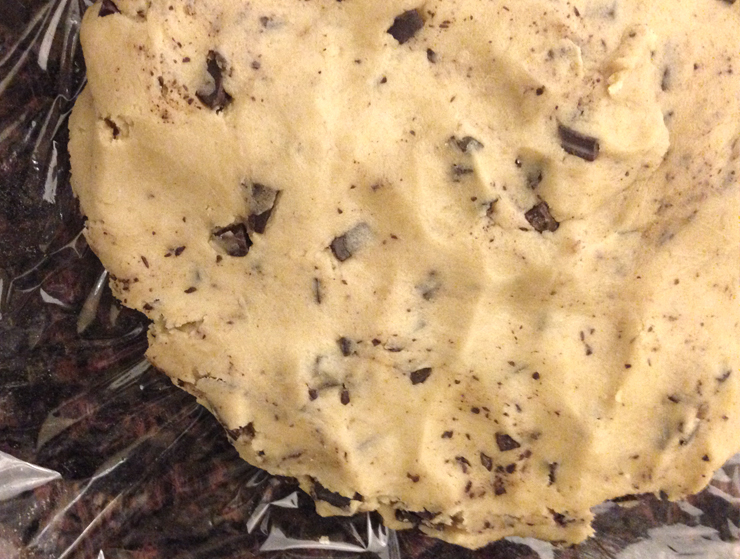 And then integrates the chocolate chips. 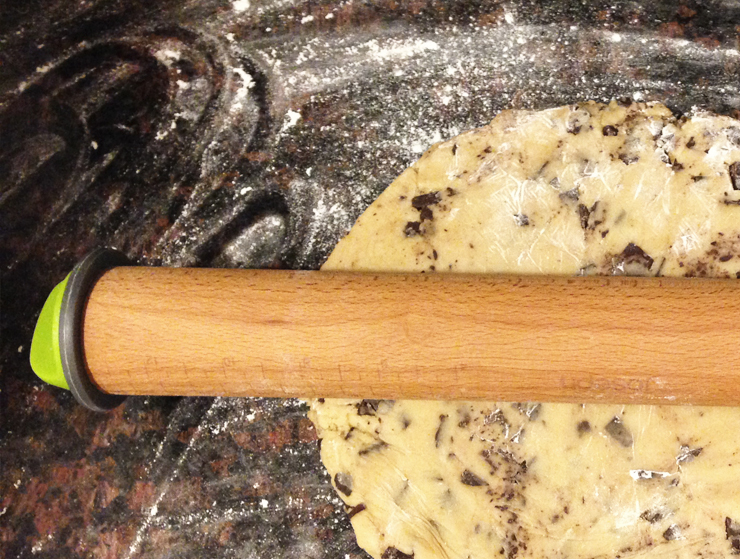 Make a ball with the dough and flatten with your hands, cover with plastic wrap and refrigerate at least 30 minutes. Preheat oven to 350 degrees. Let them cool for 30 minutes to an hour. In a cup or microwavable bowl, using the microwave melt for 30 seconds 1/2 cup of chocolate chips, and mix them with a spoon until it is totally melted. If you want crispy cookies, omit the cornstarch and replace the baking soda with baking powder.